The company planning to redevelop the Oaks shopping centre say it will be a major part in Acton's regeneration. Last week hundreds of residents turned out to a site visit to show their opposition to the plans but Acton Regeneration Company was granted permission for the controversial scheme (16/10). Opponents say they can't accept the current proposals and want involvement from the London Mayor's office. However, John Bourne of the Acton Regeneration Company says hundreds of new jobs will be created locally in a scheme which will completely revive the area. He says he wants to work alongside the community to deliver the project. "The development will see the introduction of a new Waitrose store, the complete refurbishment of the existing shopping centre, the introduction of four smaller retail units along Churchfield Road, a brand new entrance from the High Street and 142 new homes. The upgrade to the High Street façade, link through to Churchfield Road and self-contained service yard will transform the site as a place for people to work and shop. The scheme will bring with it 250 construction jobs for each year of build, together with up to 200 created by Waitrose and 50 full time jobs created through the redevelopment. 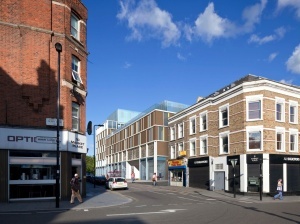 It represents an investment in excess of £40 million into the regeneration of Acton town centre. 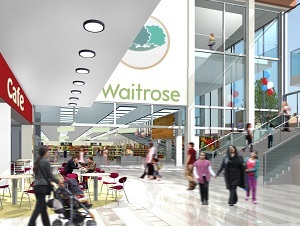 The regeneration benefits that Waitrose will bring to Acton as our anchor tenant will be considerable. Our continued commitment to Acton will see us bring forward proposals for the land to the east of the shopping centre as a phase two of the development. These proposals will bring further jobs and would see the much needed regeneration of this land which was requested by local residents during the consultation for the consented development." ARC say it is anticipated that the shopping centre part of the scheme, including the new Waitrose, will open in early 2016 with the housing completed in 2017.